Celebrated nationwide, Loy Krathong is probably Thailand’s most beautiful and enchanting festival. The word loy (or loi) means to float, whilst krathong are small rafts or baskets. Traditionally made from banana leaves or the bark of a banana tree, the krathongs usually contain a candle, incense and flowers. The person who will be floating the krathong will often take a small clipping of their hair or fingernail which will then be added to the krathong together with some coins. The candle and incense are then lit and a wish is made before the krathong is placed on the nearest stretch of water. 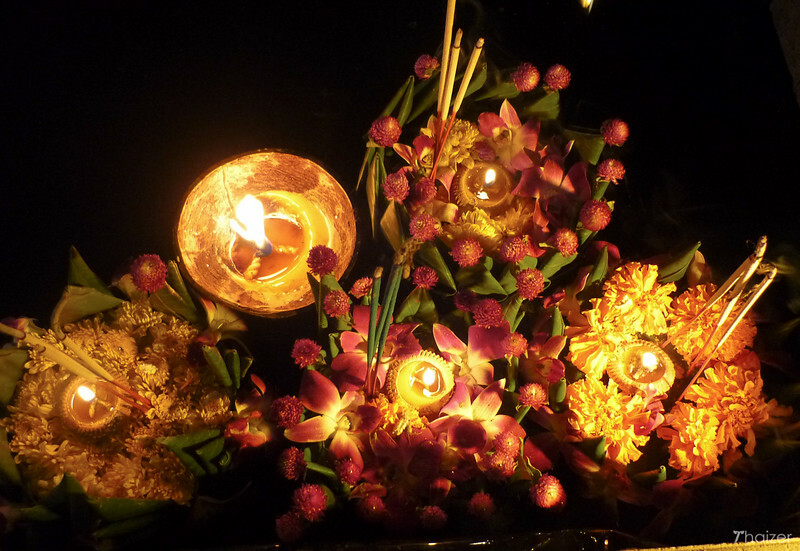 It is believed that the krathong carries away bad luck and signals a fresh start. The festival is held on the full moon of the twelfth month of the traditional Thai lunar calendar (which usually falls in November). 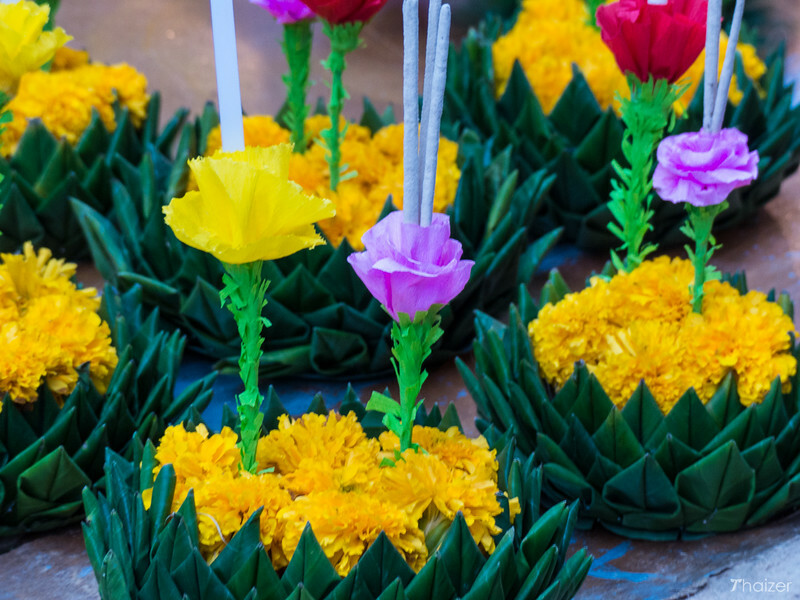 The precise origin of Loy Krathong is unclear, but it is widely believed to have originated in the ancient Thai capital of Sukhothai during the 13th or 14th century. The festival may have Brahmin origins but has been given a typically unique Thai twist over the years. Coming at the end of the rainy season, it is also believed that the tradition pays homage to the water goddess, Mae Kongkha (Mother of Waters) and the krathongs are offerings to her. The festival has evolved to include music concerts and beauty pageants and is another great excuse for a party. 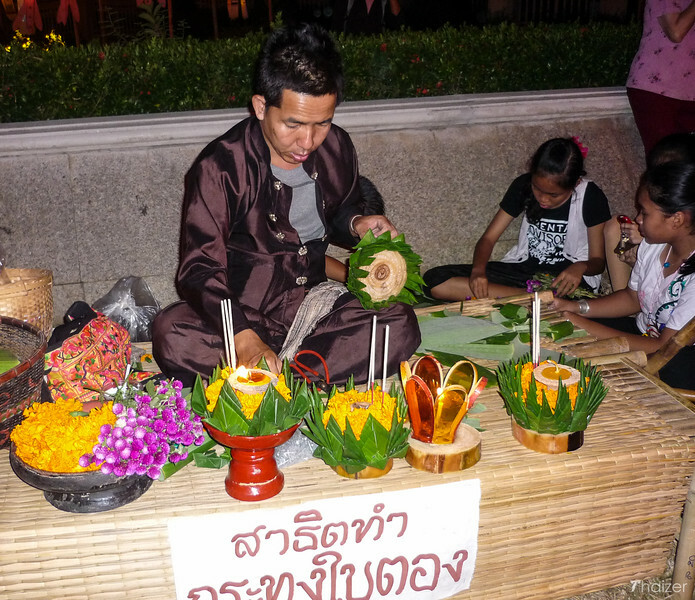 Falling during the school holidays, Loy Krathong is also a family affair with parents often helping their children to make the krathongs. The festival is celebrated throughout Thailand and wherever you find yourself there is almost certain to be a celebration somewhere close at hand. Loy Krathong is particularly famous in Sukhothai, Ayutthaya, Chiang Mai and Tak. 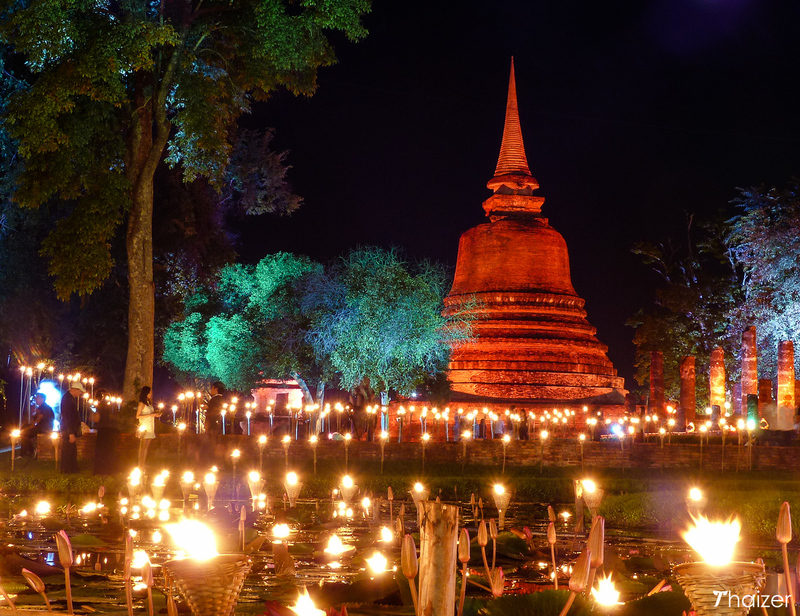 Old Sukhothai hosts a two week celebration with the ancient ruins illuminated and the ponds lit up by candles. Parades, firework displays and concerts draw large numbers of Thai and foreign tourists with accommodation at a premium. In Chiang Mai and some other areas of northern Thailand, Yi Peng is also celebrated at the same time as Loy Krathong. In Chiang Mai much of the focus is on the Ping River and the moat that surrounds the old town. In addition to the floating krathong, khom loy and khom fai fire lanterns are released into the sky. The Chao Phraya River is the main focus for celebrations with bridges and buildings decked out in bright lights for the occasion. Places such as Lumpini Park with its lake also draw a large crowd. Many hotels and resorts lay on special celebratory meals and activities for their guests culminating in crowds gathering on the beach to float krathongs onto the sea.